I wanted to do something special with Walker while big brother, Charlie is in preschool. 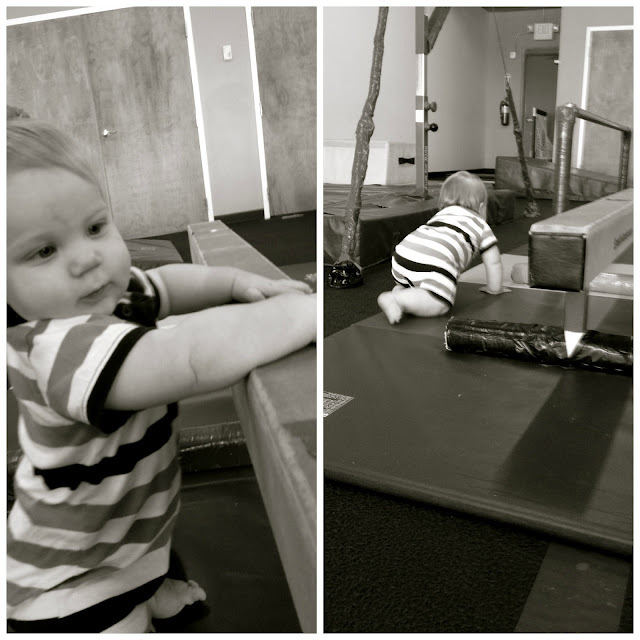 I found the most adorable "gym" class for him and love getting this one on one time. 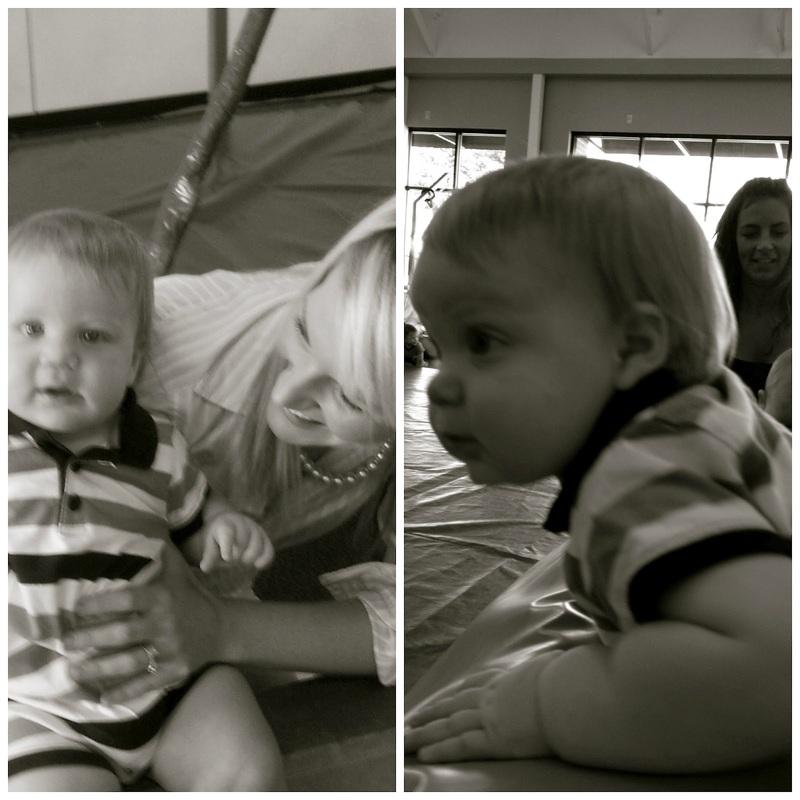 Walker definitely realizes that this time is all about him and is having so much fun in his little class. I hope you all had a great weekend. The NC weather was absolutely perfect and we loved every second of it! so fun!! I got to go with my friend and her twin girls this summer to one of those classes - it was fun! Aww, he is so cute! I think even I'd have fun in that class, haha. OOh boy he's a little active one. I don't know how you have the energy to keep up! Sooo cute! I love that stage! Love my little Walker! He looks like he had so much fun! Little Gyms are so fun! I put mine in when she was 3 and she is still excited about going each week, 5 years later! Looks like he is having a blast! Walker is SO precious!! Love the video at the end - he is adorable! He is so adorable. It looks like he is having a great time. Such a great idea for mommy and son bonding time. Little Walker is getting so big and mobile! Love the pics and such a fun way for you two to bond! that is such a fun idea! i'm glad you guys got to spend that time together! whats better than walker in pictures? walker in a video! ahhh, i can't take the cuteness!!!!! Oh my goodness, he's just too cute! Love his little wiggle to the music! When I see him on the Olympics one day, I will say that I know him! ;) Gosh, I really do just want to squeeze that boy!! I think it's so sweet you do something special with Walker while his big brother is in school! So precious! I love your idea of one-on-one time with Walker while Charlie's in school. Such a great idea! He is the sweetest little thing. Granted he's not little at all, I could probably carry him for two minutes and then I'd hand him off claiming how weak I am. how precious! such a cutie pie! What a great idea for mom and son time. You can tell he is loving it! WooWoo! Little Gym is the place to be!! I enrolled Hudson this year...he is LOVING it! I wish we would have done it when he was smaller. look at his go! gold medal winner right there! Awww, I love his little "dance" at the beginning of the video. How cute!! !